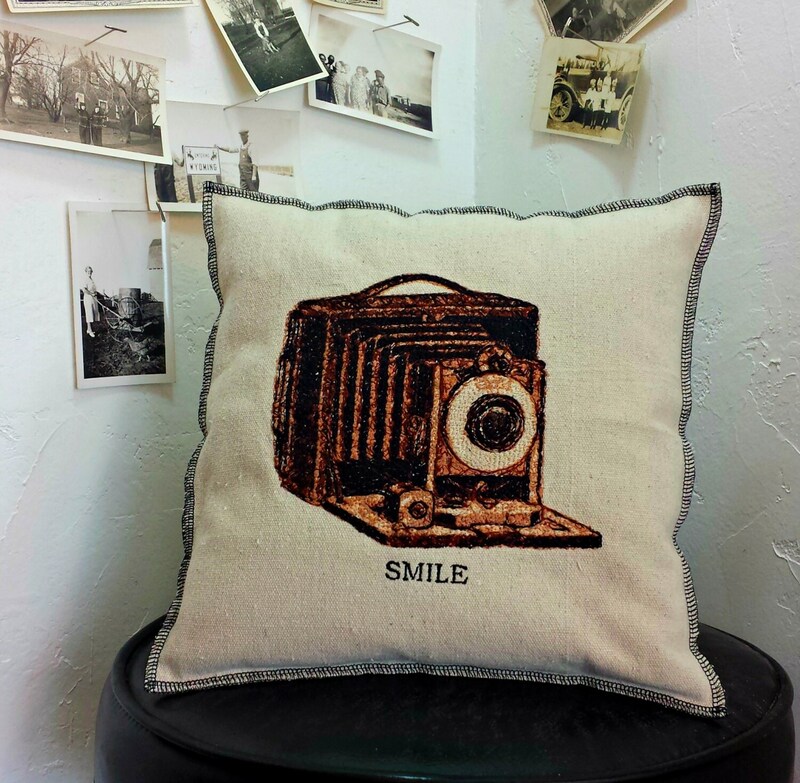 Embroidered vintage graphic design canvas pillow. 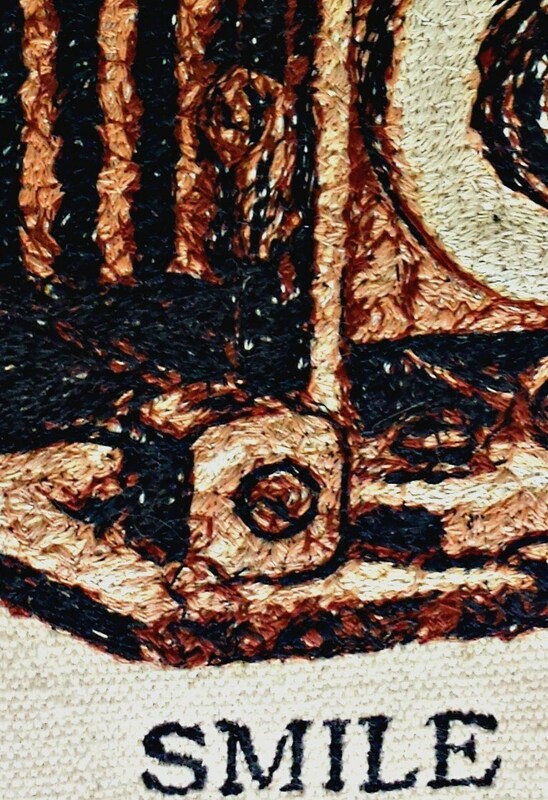 Individually crafted from upcycled painter's canvas. 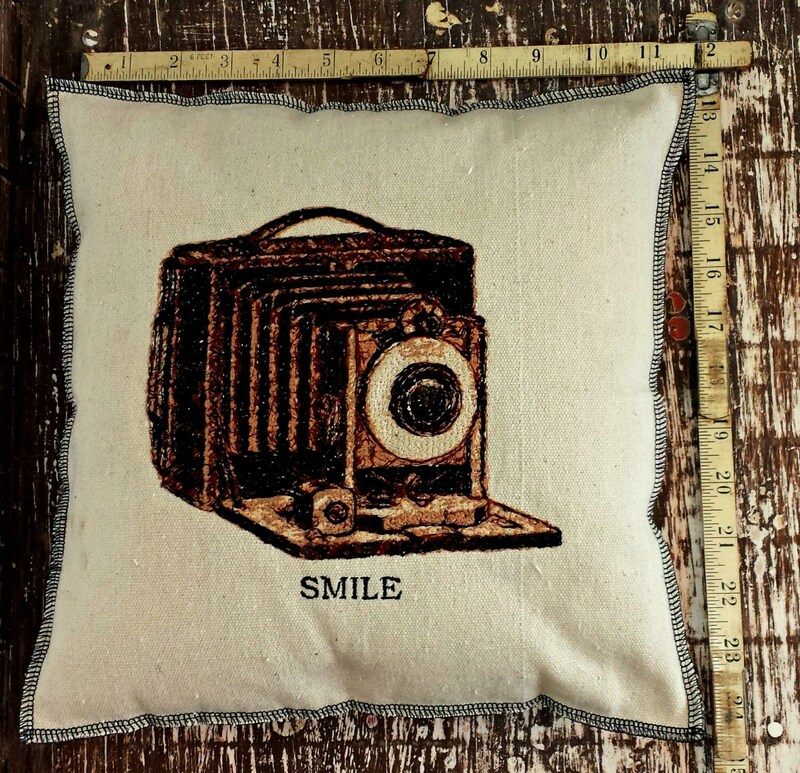 Pillow shown is 12"x12". Custom sizes are available.